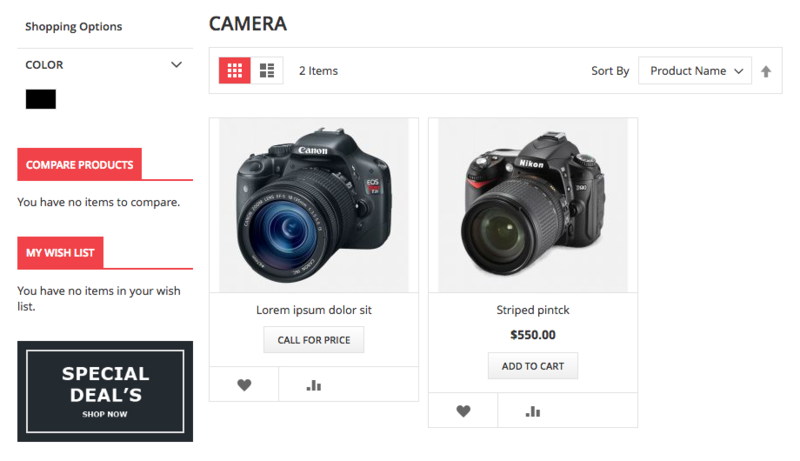 Magento 2 Call For Price extension removes price & add to cart button for specific simple products and replaces it with a Call for price button. It encourages customers to contact you for quote. 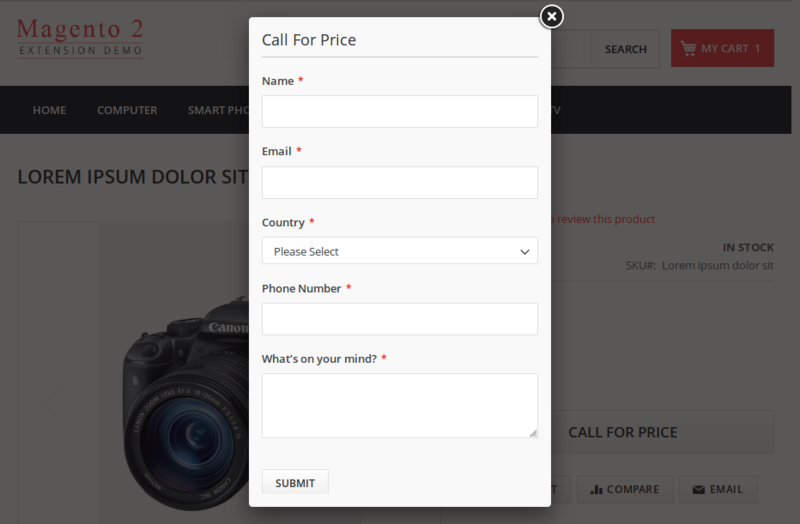 Call For Price Magento 2 Extension hides the product price of simple product and replaces it with “Call For Price” button. Customers can make request for a product price using submitting form on product details page, product list page and search result page. There are so many reasons not to display the product price to customers like products are not available, price depends on quantity, products with fluctuated prices etc. Default Magento doesn’t provide the facility for this, so store owner always find difficulties to offer such products through their stores. 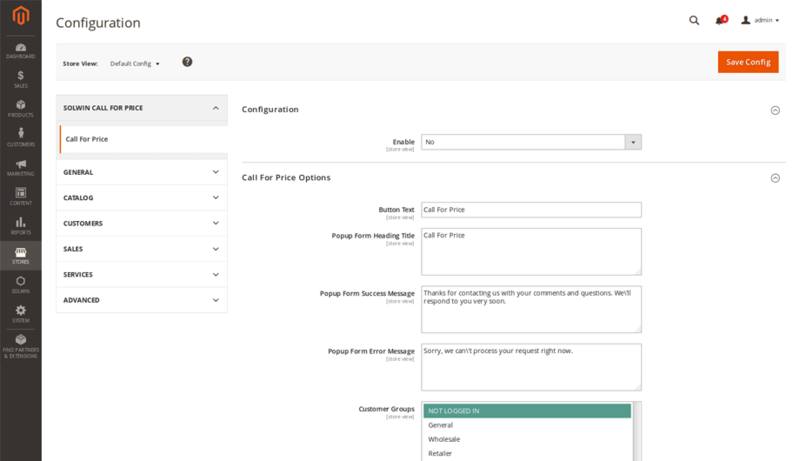 Set Call For Price settings store wise from admin. No worry, if you have multi store. This feature applies to simple product details page, product list page, etc. Enable call for price feature for specific time period. 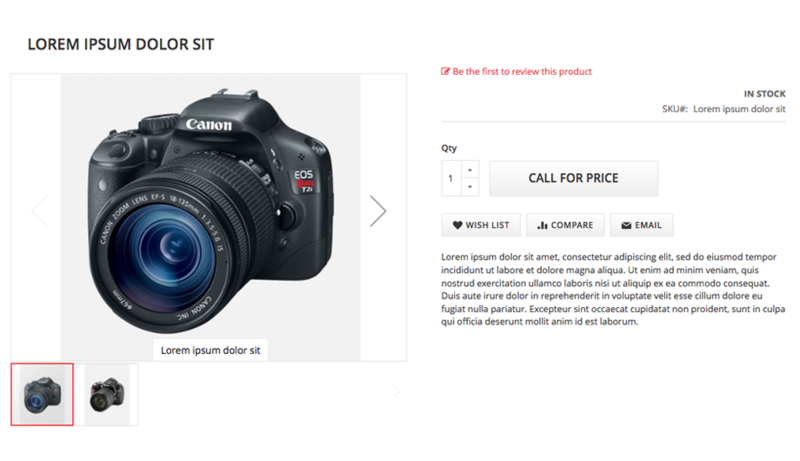 Displays a custom message per item on product detail page. 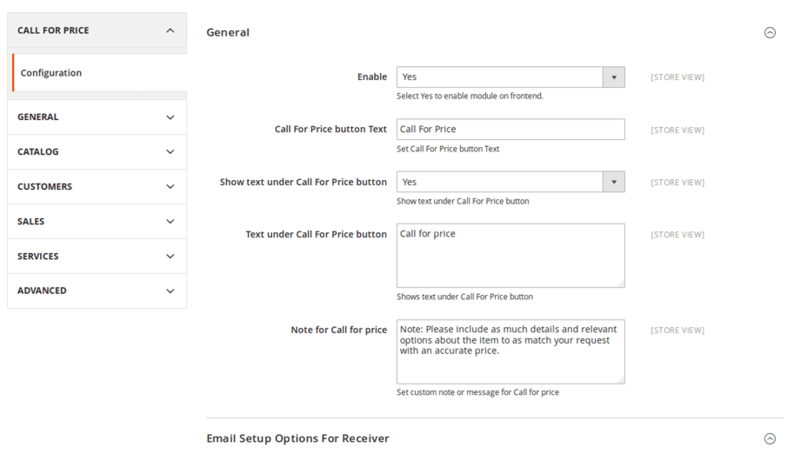 Notification to Admin via email whenever customer makes a new request of call for price. 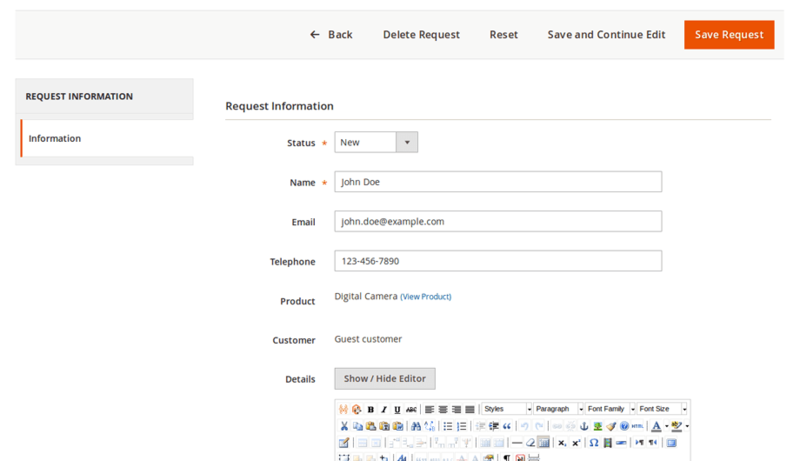 Admin can also set custom email templates of call for price request. Great plugin and great support! 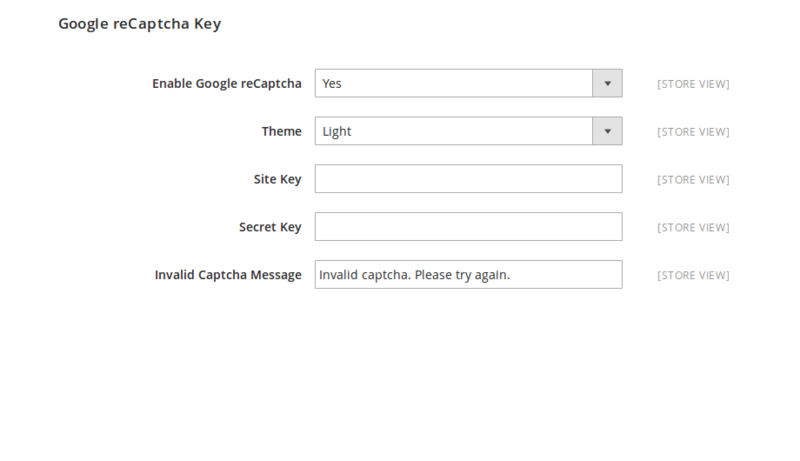 The plugin needed some work to get it running smoothly with our theme. I wasc looking for a solution for my Magento Websitebecause I’v certain products that require more information from prospective customers before pricing calculation. I came across this module and bought it. After installation of this module, my job became butter smooth and without any issues. Extremely happy that I chose this module. LIke some of the reviews above, it did not work immediately with our theme. However, the developers were quick to respond and find a solution. Very impressed. I was a bit sceptikal, becuase of the price. But it’s actually very good and works perfectly. Needed a bit of help after installation but they fixed that for me. Great plugin, quick install, works as promised. I only have great things to say about Solwin Infotech. I purchased the Call for Price Magento 2 extension and experienced minor issues with them and Solwin Infotech were able to solve them as quick as possible. I will definitely be comfortable purchasing an extension from them again knowing their service and support is spot on! 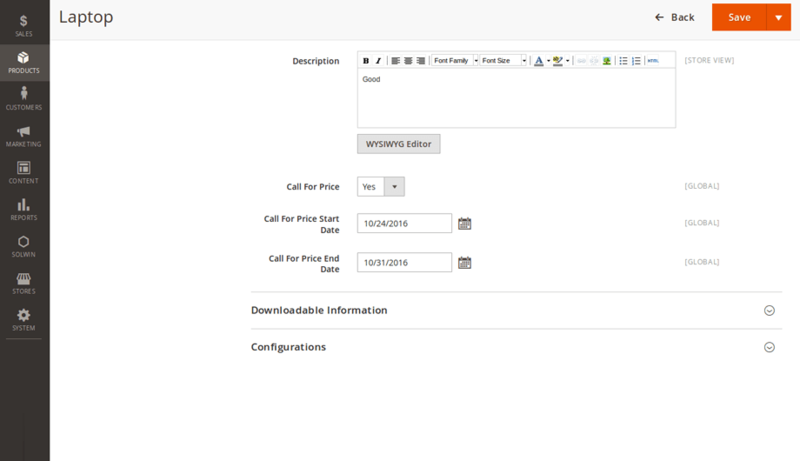 Download the Call For Price extension .ZIP file from solwininfotech.com using your Solwin Infotech website account. If you have purchased the extension for the Enterprise Edition, then you will see the extension .ZIP file for Magento 2.1.x Magento 2.2.x and Magento 2.2.x version. If you are using Magento 2.0.x then you need to extract solwin-callforprice-m2-2.0.x.zip file. If you are using Magento 2.1.x then you need to extract solwin-callforprice-m2-2.1.x.zip file. If you are using Magento 2.2.x then you need to extract solwin-callforprice-m2-2.2.x.zip file. If you are using Magento 2.3.x then you need to extract solwin-callforprice-m2-2.3.x.zip file. If you are using Magento 2.1.x then you need to extract solwin-callforprice-m2-EE-2.1.x.zip file. If you are using Magento 2.2.x then you need to extract solwin-callforprice-m2-EE-2.2.x.zip file. 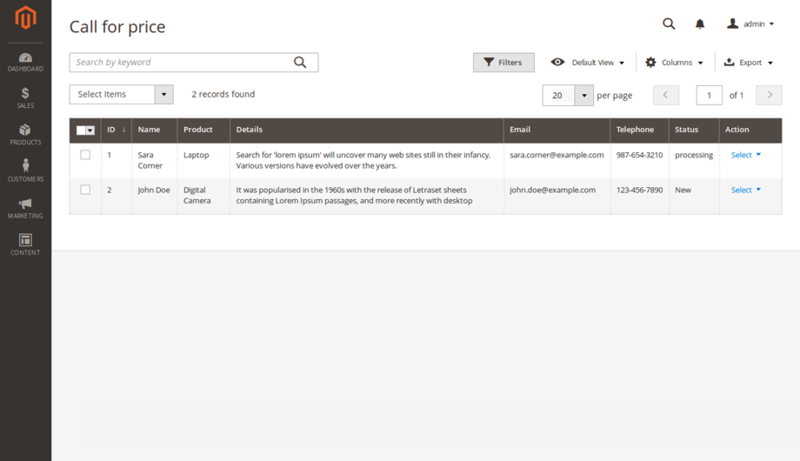 Now, you can see the Solwin menu in admin panel. Please go to Solwin -> Call For Price -> Configuration and select Enable to Yes.